Here’s another unconventional (but fun and silly!) 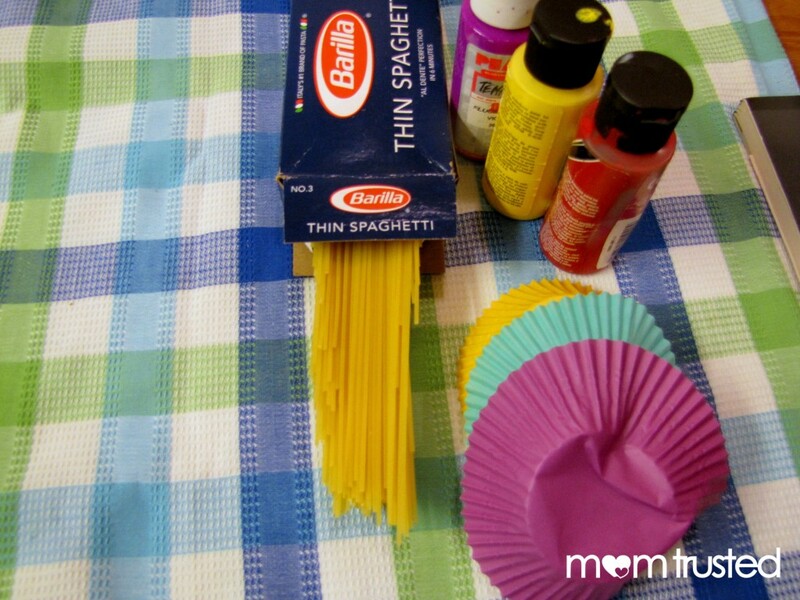 painting method to try out: spaghetti painting! 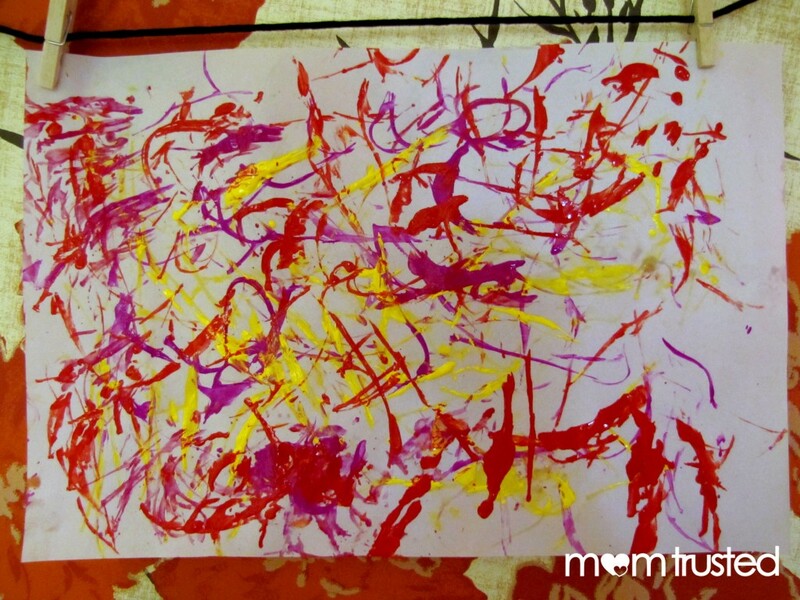 It’s slippery and slimy and messy – a super tactile way to paint! Cook a little spaghetti (or if you have some leftovers without sauce, this is a great way to use it up!) You won’t need too much – maybe about one serving. Next, protect your surfaces. Aprons, smocks, table coverings, etc are all a good idea with this one. Put out a few big sheets of paper. 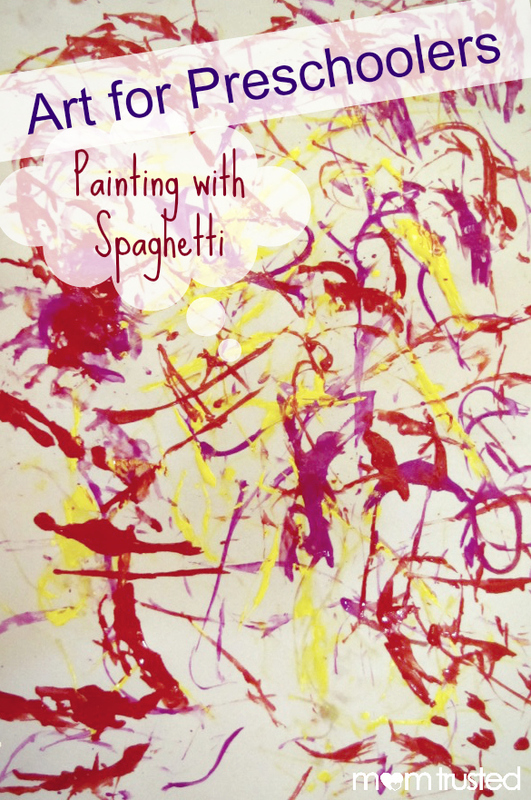 Dip spaghetti into the paint, and try out different methods of mark-making on the paper! Drag it, drip paint, slap the spaghetti on the paper! 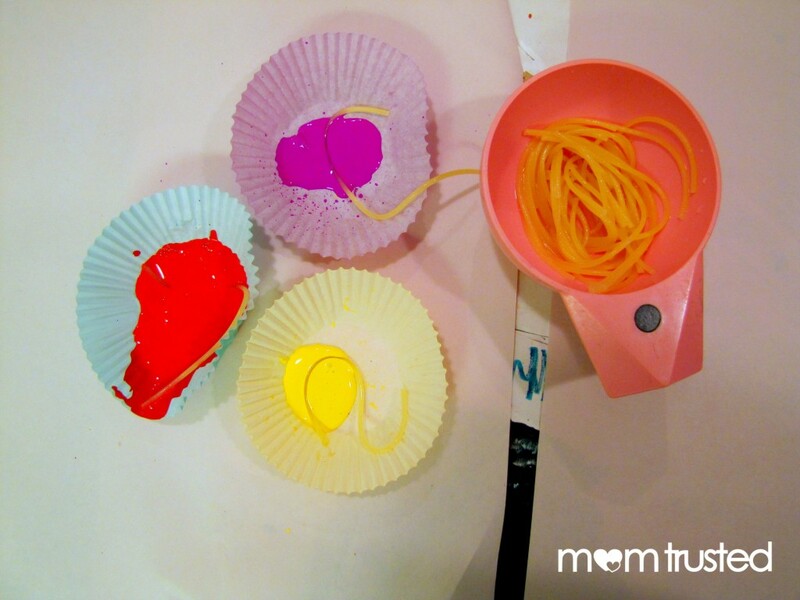 Some kids might hesitate to get so messy, so don’t be afraid to get right in there with the kids and touch some slimy spaghetti paint. Encourage them to fill the whole paper, and then start a new one!